The AI revolution isn’t the end of the line for employees: it’s a chance for them to evolve and develop workplace skills that will endure. They say the board game Go is more complex than chess. Apparently, the number of possible moves is greater than the number of atoms in the universe. If that’s enough to make you feel a little light-headed, then it should only make the achievements of the Go masters – who are somehow capable of selecting moves and strategies of startling brilliance from a well of seemingly infinite possibilities – all the more incredible. The grandmaster of these Go masters is Lee Sedol, who is revered as the game’s equivalent to Michael Jordan. It came as a major shock then, when in 2016, over a five-game series, Sedol was comprehensively outmaneuvered, out-thought, and outplayed by a new master. A Google-developed AI program named AlphaGo. In China, sixty million people tuned in to see the contest between man and machine, with millions more joining around the world online. They watched as Sedol lost the series 4-1. The defeat was so overwhelming that one analyst admitted feeling physically unwell watching the world’s greatest human Go player being dismantled so easily by a “ruthlessly efficient algorithm”. He also wondered what this future might look like for humans. Even if countless sci-fi thrillers down the years have overplayed the conceit of a robot apocalypse, they still appear to be at least pointing toward a partial truth. Some commentators, such as Kissinger, suggest that the rise of AI will pose ethical questions we may not be equipped to answer. Others speculate that it may change how we think about the world, or even question what it means to be human. What’s clear is that speculation about AI is fast becoming fact. Artificial or automated intelligence is today being used in medicine, travel, advertising, finance, and even politics. It is set to soon spread into aspects of all major industries too, with considerable knock-on effects. Most prominent among these is the impact AI is forecast to have on the labor market. The global management consulting firm McKinsey & Company predict that by 2030, 375 million workers – roughly 14 percent of the global workforce – may need to switch occupation. The authors of the report are quick to put this in context, reminding readers that the orders of magnitude here are akin to the shift from agriculture to manufacturing. 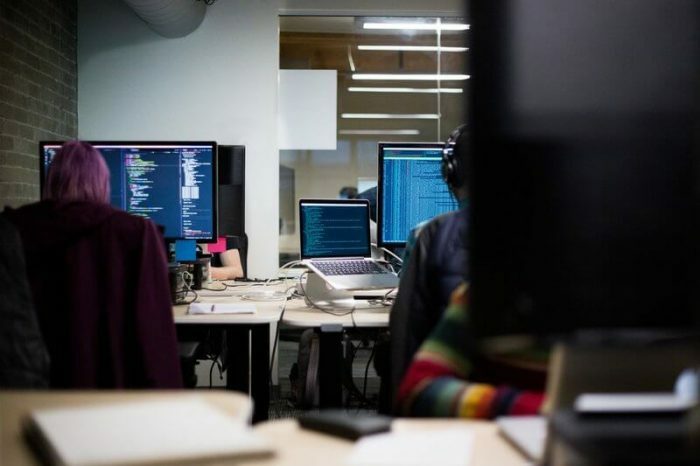 Because AI can process information, recognize patterns, and solve complex problems far more quickly than humans can, experts believe that the most at-risk roles most are those involving repetitive tasks, number crunching, and basic literacy. As a result, it’s estimated that the demand for basic cognitive skills such as data input or word processing will fall by 19 percent in the US and 23 percent in Europe. But where one door closes another opens. Tech is designed to boost productivity rather than reduce employment. Since AI is continuously learning and always improving, the surest way to stay ahead of the curve for humans is to follow suit and do the same. In anticipation of this, two-thirds of executives say they’ll need to replace or retrain over a quarter of their workforce within the next five years. But while technical and coding skills are currently among the most sought after by hiring managers, the demand for soft skills is increasing dramatically. In the same McKinsey & Company report mentioned above, it’s estimated that the demand for social and emotional skills will grow across all industries by 26 percent in the US and 22 percent in Europe. Coding skills are the most sought after by hiring managers, but with the rise of AI soft skills such as creativity and emotional intelligence have increased in value. Yet predictions don’t always tally with real-world progress. Though the demand for soft skills in the workplace will almost certainly intensify, the starting point for meeting that demand will be a cultural shift in which companies provide a pipeline of continuous learning opportunities for employees who are ready to take advantage of them. If they can do so successfully, the projected benefits for both companies and employees are considerable, with increased productivity, higher wages, and greater overall prosperity among the potential gains. 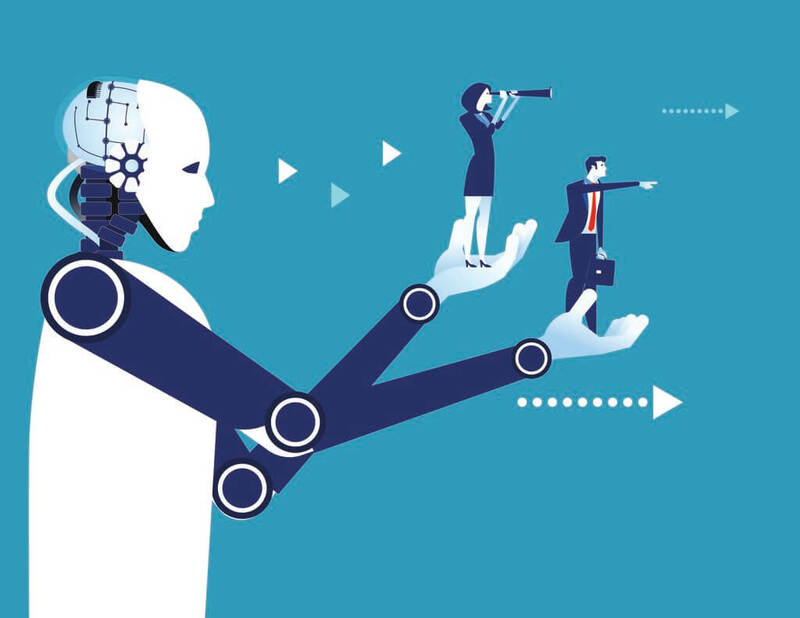 Somewhat counterintuitively, industry experts believe that AI’s integration into the workforce will be essential in the transition to greater worker mobility. As more rote jobs become automated, newer, more skilled positions will appear to replace them – and these will only be suitable for humans. And enabling this professional growth is technology. According to LinkedIn’s Global Recruitment Trends 2017, more talent acquisition leaders are turning their attention to soft skills assessment as a means of improving their hiring and training strategies. In fact, 35 percent of the hiring managers surveyed earmarked soft skills assessment as a top priority. The reasons behind this are pretty clear: if implemented effectively, soft skills assessment technology can not only identify skills gaps that need to be addressed but can offer actionable insights into employees’ overall continuous learning progression. An additional benefit is that digital assessments can also minimize the risk of hiring bias, thereby increasing workplace diversity. The roll-on effect of this is not just equal opportunity, but an escalation of ideas, innovation, and, ultimately, revenue. While AlphaGo’s victory over Lee Sedol was a good indicator of AI’s staggering processing power as well as its dawning capacities for self learning, it is still a poor reflection of the true status quo between artificial and human intelligence. You could even say that the chips are stacked heavily in favor of the latter when we shift the compass to measure other capabilities that are crucial to the workplace. The human brain is capable of affecting desired outcomes even when the circumstances aren’t particularly compliant to them. For instance, most people would prefer to avoid adversity, but they are, by and large, capable of dealing with and even thriving in it. Hundreds of thousands of years of evolution have taught us to be resilient in the face of difficulty and persistent in finding ways to overcome it – both of which are essential abilities in a business environment. Whether it’s selectively learning new skills, or experimenting with different strategies, humans have an enormous capacity for coping with change when they need to. Technology would never have advanced along its current trajectory were it not for humans continuously solving problems along the way. Though we may often choose the path of least resistance, the brain enjoys solving problems and is capable of both objective and subjective analysis. Part of the reason why the human brain is so adept at critical thinking is its imaginative capacity. While machines outperform us in technical and tactical applications, the human brain is more adept at setting goals and generating creative strategies to achieve them. Because creativity involves novelty and value, it also requires contextual and cultural understanding – something that current AI struggles to contend with. An important function of imaginative thought is empathy, which acts as a connective tissue between ourselves and others. It’s this ability to empathize that allows us to manage complex relationships, coach others, and get the best from those we work with. Because these functions are outside the scope of machines, they are increasingly sought after by companies looking to recruit leaders or team mentors. Good communication is another cornerstone of effective teamwork. Whether working on a big project, attempting to understand someone else’s point of view, asking for assistance, or expressing an idea, human interaction is central to work culture. This makes it all the more important to develop skills for listening, as well as speaking or writing. If internal communications are problematic, then public-facing communications are likely to be poor too, which will affect public perception in addition to team morale. As social beings, communication with others is at the core of many of our most meaningful experiences.